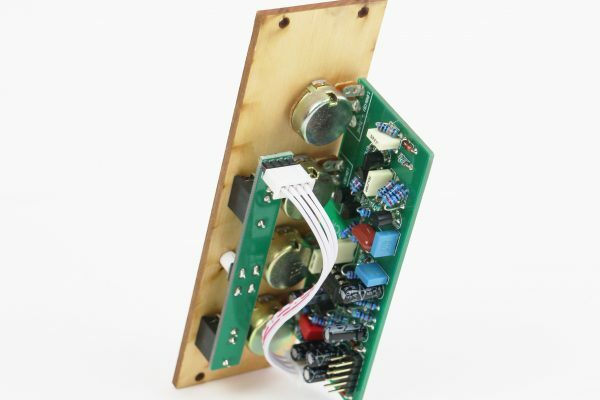 And you are new to electronics for synthesizers, Befaco made a fantastic serie of videos: here. 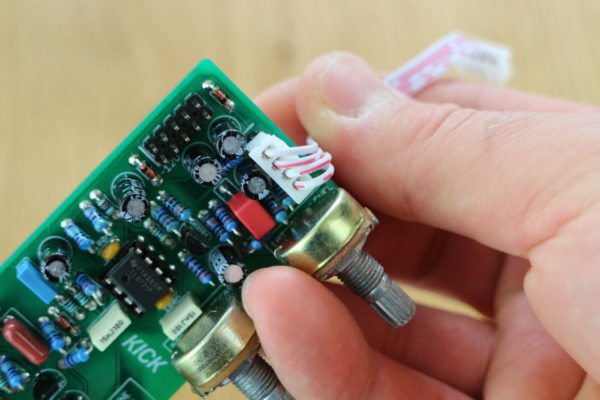 You can learn about componements, the tools you’ll need and some recommendation for eurorack modules. Prepare yourself so you know what you are doing! 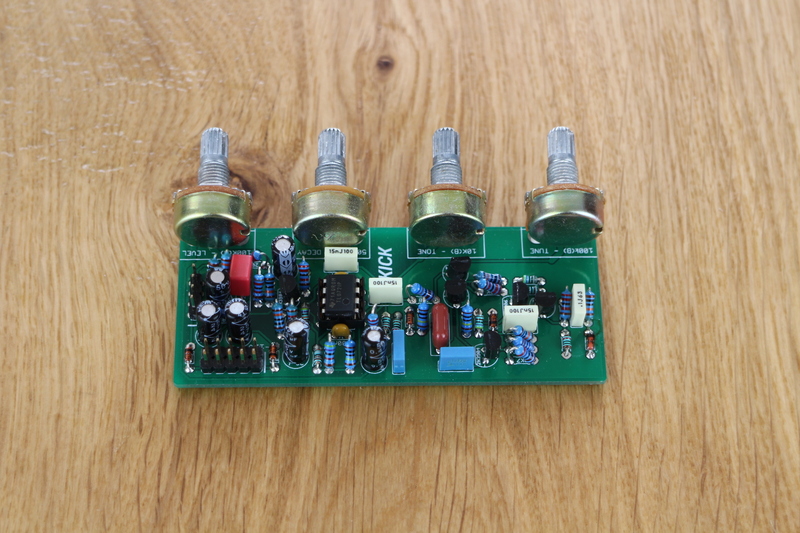 If you unsure you are doing the right thing, check the pictures of the assembled modules. Print out those high resolution silkscreens : KICK and SNARE. 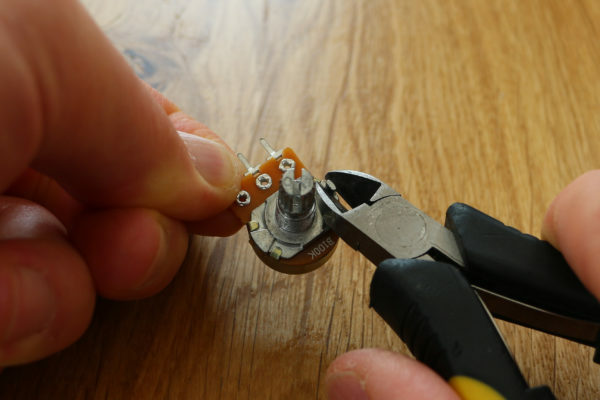 You can cross off every part you solder and use it as a checklist. 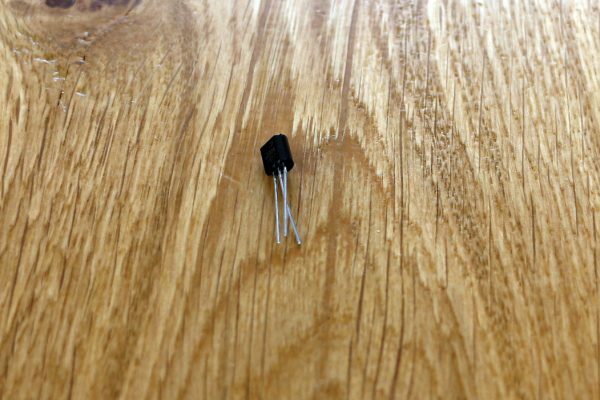 Use 1% 250mW (or 500mW) metal film resistors for best results. Both 0204 or 0207 packages will fit on the PCB. The 0207 would need to be placed at the angle. I recommend to place the first value, solder it, cut the leads and go the next value. You can stripe each value off the slikscreen printout and have a great overview of you have done so far. Next up are the 1N4148 diodes, they are usually orange with a black stripe. They are polarized! Align the side with the black stripe with the white strip on the PCB slikscreen. Those are not polarized. 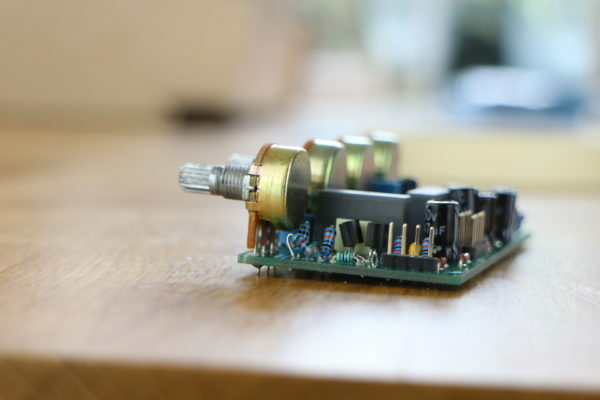 It’s recommended to use film capacitors as described in the BOM. 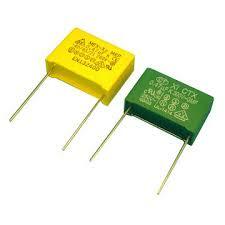 You could substitute the film capacitors for ceramic capacitors if you can’t source them. 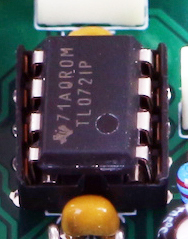 The decoupling capacitors in the vicinity of the TL072 are designed to be ceramic. Film capacitors to decouple would be ok too. The film capacitors have rectangle footprints. 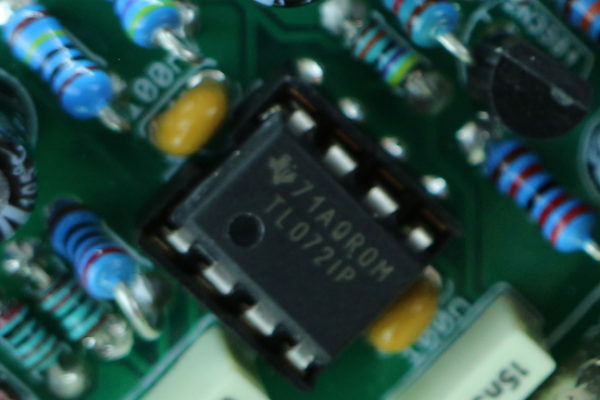 The decoupling capacitors have a boxy footprint with 2 stripes in the middle. They are usually orange and round. Special note for the Snare: the 27nF capacitor has a special foot print that can accommodate both 5mm and 15mm pin pitch. Those are meant to be 50V, 5mm diameter. The long lead go in the + side on the PCB. That leaves us with the white on the capacitors on the opposite side. We have 2 types : 2N3904 and 2N3906. They are polarized. You need to bend the center lead towards the round side to make it fit. 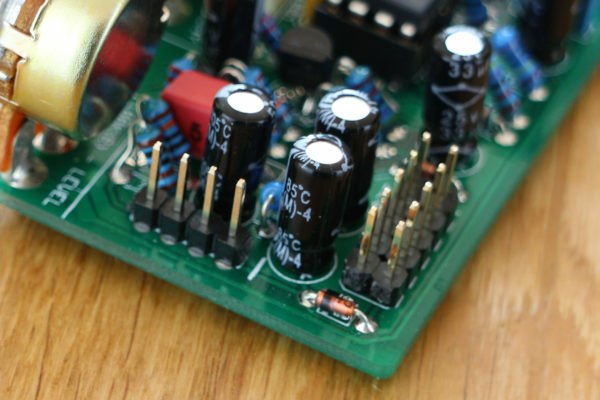 The round and flat edges on the slikscreen need to match the form of the capacitors. 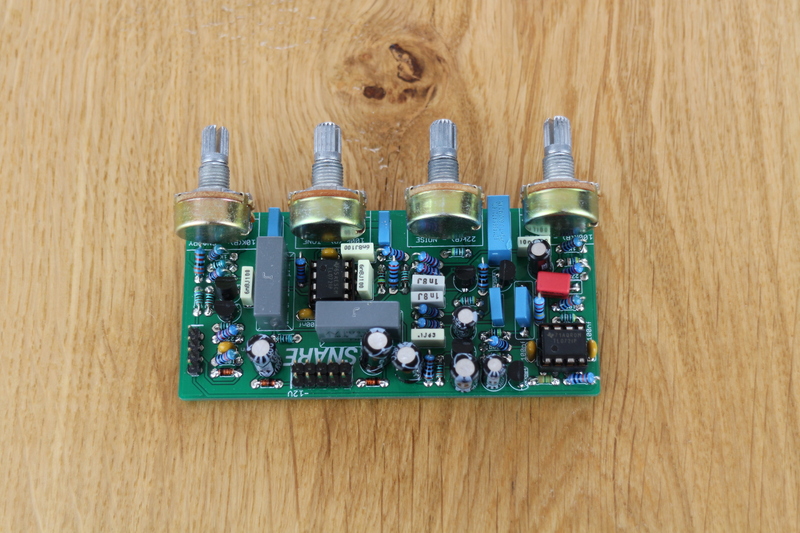 The modules are using dual op-amp packages called TL072. They are polarized, the notch on the PCB slikscreen must match the notch on the actual TL072, sometimes there is a circle instead of a notch. It is recommend to use a socket. All linear pots. Use the right pot values in the right place, and on the same side than all the other parts. Use pliers to snap the centering right off the pot. BE CAREFUL as it will fly away at high velocity. 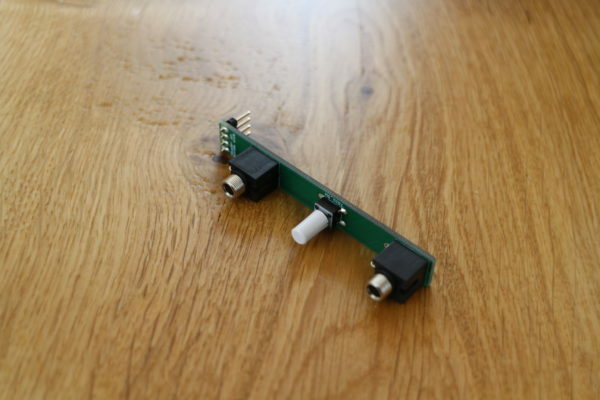 Start by soldering 1 pin, apply pressure between the pot and the PCB, heat the pin again and make you the pot is as close as possible to the PCB and at a 90 degrees angle. If the pots are not close to against the PCB, there is a possibilty they won’t fit in the front panel. 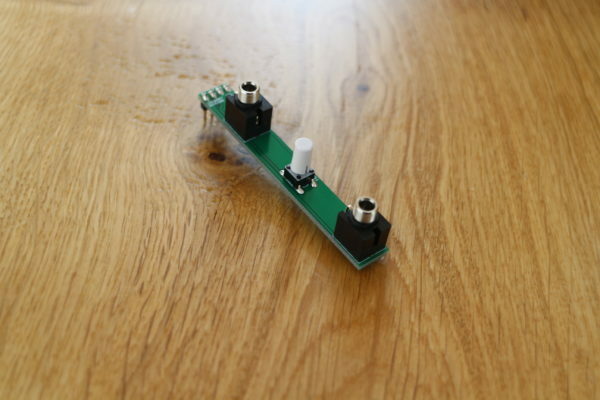 Next is the small PCB in the kit. By soldering the switch, it snaps right in and stays nicely in place. Then solder the jacks. Like you did with the pots, start by one pin, push the jack against the PCB, heat up the pin, let it cool, then release the pressure. You can then proceed to the 2 other pins. Go ahead and solder 4 pin headers, ON THE BACK of the IO PCB. Solder the 1×4 pin headers as well as the 2×5 pin headers for the power connectors. You can use either double row pin headers as found in the BOM or use 2 pieces of 1×5 headers place next to each other. As with the pots and jacks, I usually solder 1 pin. Then pushing down on the pins on the opossite side, I apply the heat again to get everything as flush as possible. Don’t put your fingers on the pin you are applying the iron too! It gets really hot. Connect the included 4 pins cable between the 2 PCBs. 1 wire on the cable has no red stripes, align this cable with the white stripe on the PCBs. 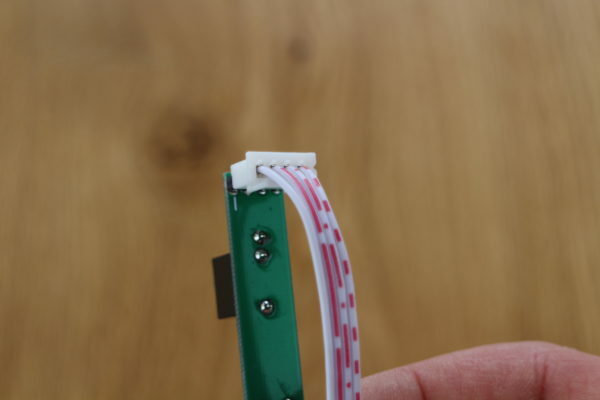 Power your module, make sure you align the red stripe of the power cable with the white strip on the PCB. Test it out. 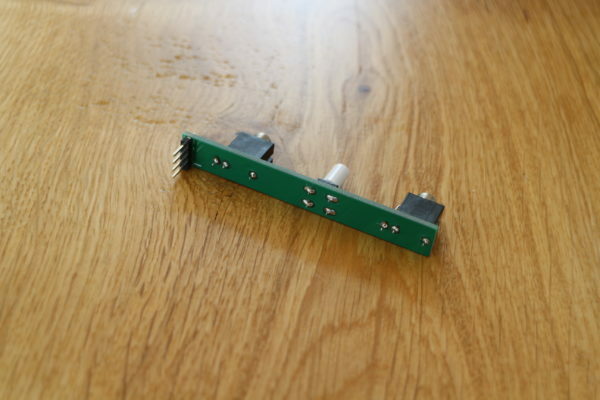 Check the PCB for solder bridges between parts, too much solder, too little solder. 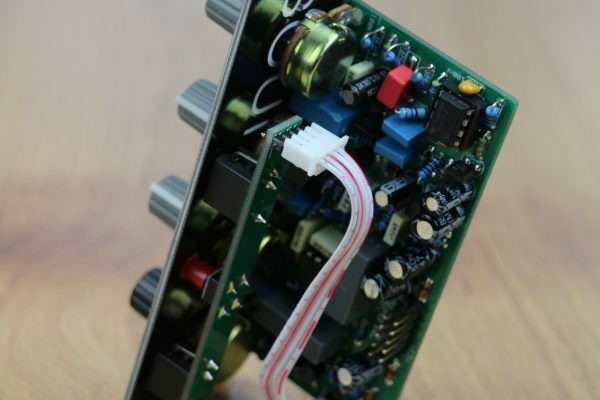 When everything looks and sounds good bring the front panel, screw the nuts included with your pots and jacks and finalize your module!